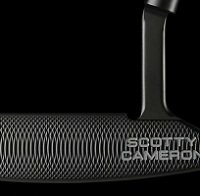 Looking For A Milled Putter? What is a milled putter? How, you might wonder, is it different from any other putter? 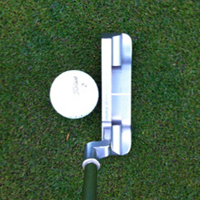 The answer is a bit technical and depends on how the putter has been made. Bear with me here because it's worth finding out - these putters are so much prettier and feel so much better than other types of putters that it's worth knowing about! Basically milled putters are created from a single block of metal which is cut and shaved using a milling machine until it's the exact shape desired. Milling was made popular in the 1990s by Scotty Cameron and Bob Bettinardi who milled initially by hand. Now almost all of the high end brands produce a milled putter design or two. You can tell milled putters from the arc shaped marks on the putter face made by the milling machine. 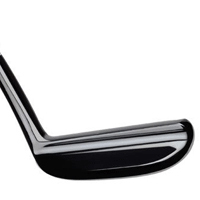 Why are milled putters any better than other putters? The main reason is the way that they feel. Milling is the process you use to shape softer metal into complex shapes. It is this softer metal that gives you the more responsive feel off the face that Scroll the reviews below to find out why! Not sure if a milled putter is right for you? Click here for our guide to choosing the right putter for your stroke.